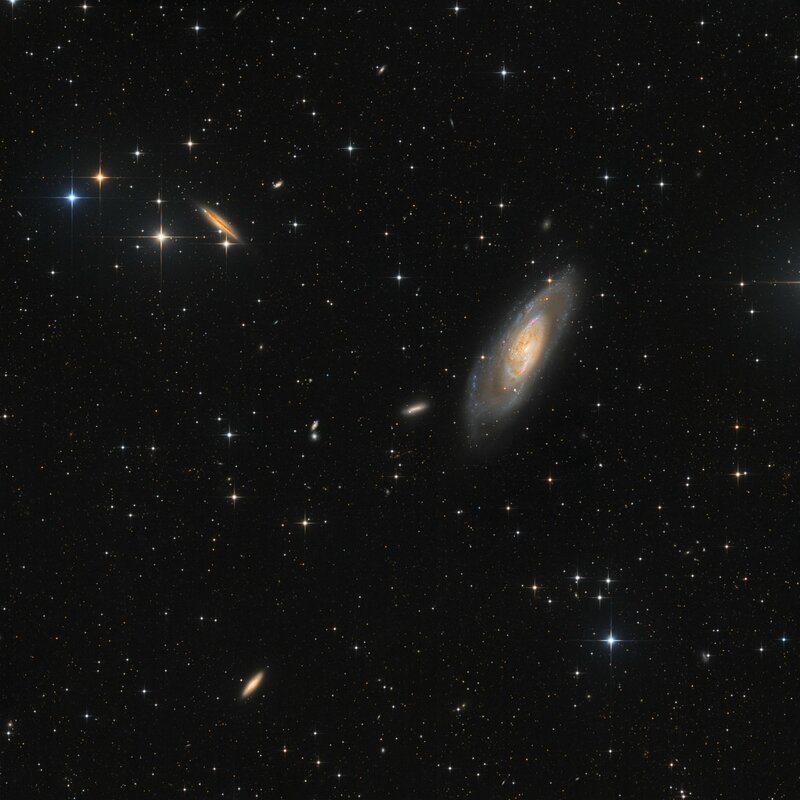 Messier 106 (also known as NGC 4258) is an intermediate spiral galaxy in the constellation Canes Venatici. It was discovered by Pierre Méchain in 1781. 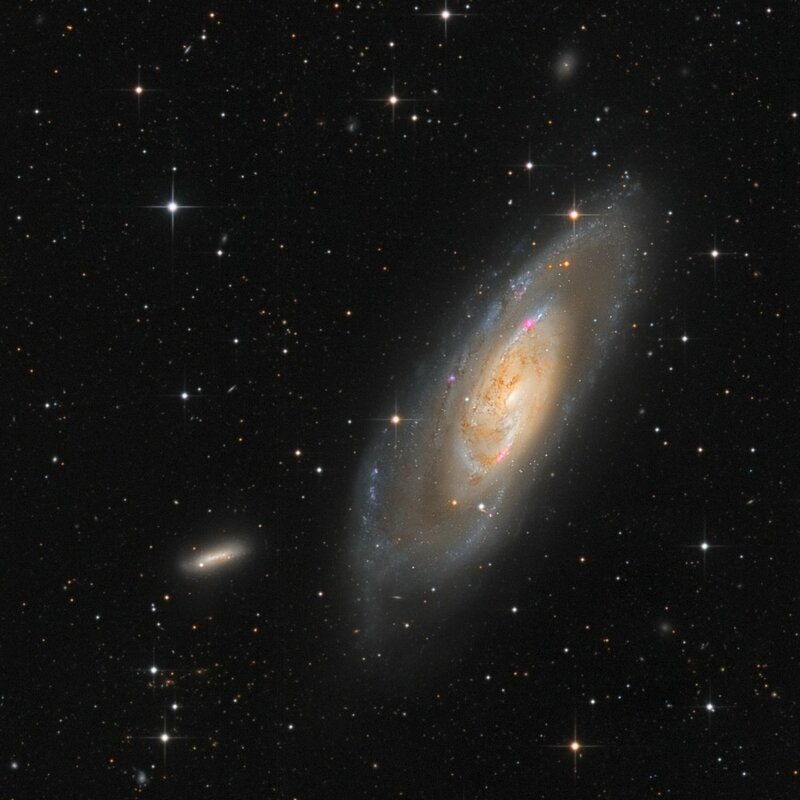 M106 is at a distance of about 22 to 25 million light-years away from Earth. An unusual central glow makes M106 one of the closest examples of the Seyfert class of galaxies, where vast amounts of glowing gas are thought to be falling into a central massive black hole.